In an office on the twelfth floor of the Trinity Building, at in Broadway, New York, sits a short, chubby little man of millions, Mr. Henry Clay Frick. 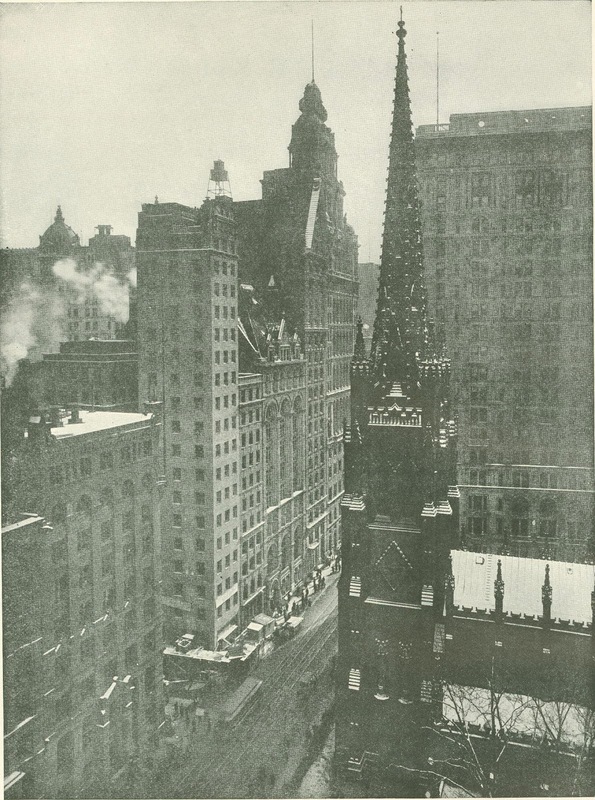 From his desk he can look across old Trinity churchyard to the offices of the United States Steel Corporation, which is his right bower in the great financial game he plays; or he can step to a window and look down on the crowds surging from Broadway into Wall Street, which is the table upon which the cards are thrown. He is master of some $80,000,000, the "Street" believes; his is the directing will in the United States Steel Cor­poration he is the ally of Mr. E. H. Harriman and Mr. H. H. Rogers; and he is Wall Street's latest mystery. The Street, which is watching him as apprehensively as it watched Mr. Harri­man emerge into prominence, waits in darkness to know what manner of man he is, and the stakes for which he plays. Most men in Wall Street do not know that his office is at 111 Broadway. The name "S. L. Schoon­maker," which appears on its glass door, is the name of a former partner in the coke business in Pittsburg. Only twice before has Mr. Frick stood out in the light of publicity before the whole country. Both times he slipped back into the shadow while public interest swept on to less retiring figures, before men realized the signifi­cance of his two appearances. But just now he is beginning again to emerge, this time in the full stature of the powerful financier. The other appearances were at two important crises of his life. The first, at the time of the Homestead strike in Pennsylvania, had in it the seeds of the bitter rivalry with Mr. Andrew Carnegie that haunts him today. The second, at the first disclosures of corruption within the Equitable Life Assurance Society, was at the time when he made an ambitious alliance with Mr. Harriman. The Pennsylvania Railroad handles one fourth of the freight in transit in the United States at any given moment. Mr. Frick is the largest stockholder in the Pennsylvania. The United States Steel Corporation is the greatest industrial combination in the United States. Mr. Frick is in practical control of the policies of the company. He was only fifty-seven years old last Decem­ber. Mr. Harriman was fifty-nine years old last February. But Mr. Frick is much younger for he has a powerful constitution. Mr. Frick is one of the "Pittsburg millionaires;" but he seems to have none of the particular qualities that have made of some of them a jest and of others a stumbling block. He is known in Pittsburg as "the Silent Man." His home life is described by his friends as ideal: quiet and devoted. He is a member of the clubs, but not a club man. His personal habits are methodical and fastidious, but simple almost to austerity. No breath of any censure of his private life is even whispered in the most gossipy places of Pittsburg, where he has lived for more than thirty years. His one indul­gence is a passion for flowers, and his favorite is the chrysanthemum. His philanthropies are not yet great, by comparison with the lavish­ness of other wealthy man, but their true bulk is hidden by the fact that most of them are dispensed through a friend who is pledged to keep their source a secret. On the other side of his life Mr. Frick is a business man - in the homely phrase, "from the ground up." He went into business at sixteen, and he has pursued it with unflagging zeal for forty-one years. The only indulgence he has allowed himself in that pursuit has been a passion to out-top Mr. Carnegie in every­thing in which Mr. Carnegie takes pride for preeminence, and that passion still possesses him. It will appear later in this story. Henry Clay Frick was born in West Overton, Westmoreland County, Pa., Dec. 19, 1849. His father, John W. Frick, had been a farmer in Ohio and Pennsylvania, but at the time of H. C. Frick's birth he was working as an engineer in the mill owned by Abraham Overholt, at Broad Ford, Pa. John W. Frick's wife was Abraham Overholt's daughter, and H. C. Frick was born in Mr. Overholt's house. He was the second of five children - three boys and two girls. John W. Frick died many years ago, but Mrs. Frick only a few years ago at the age of eighty-six. The elder Frick was a failure in business. As a result young Henry Clay was practically adopted into the Overholt family when he was about twelve years old. He had a few years of common school at West Overton, a short term at the Chester Military Academy, and a few months at the Otterbein University in Ohio. That completed his education, except what he gained afterward by a studious devo­tion to books as a recreation from business. At sixteen, however, young Frick was tired of schools. He was eager to be in business. 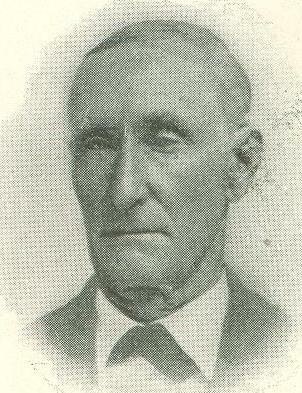 Through his grandfather's influence he was placed as a clerk in the store of White, Orr & Company, merchants. A little later he entered his grandfather's distillery as bookkeeper. From this position he went to Morgan & Company, coke dealers, and at about twenty-one years of age he appeared in Pittsburg as their agent. A year or two later he joined a company to build the Mt. Pleasant and Broad Ford Railroad, a short line to penetrate the Connellsville coke region. The road was opened in 1871. It was a success. That was the basis, of the Frick fortune. These were the beginnings of Mr. Frick's interest in the coke business, to which he gave his undivided attention until 1882. In 1871, the year the Mt. Pleasant and Broad Ford Railroad was opened, Mr. Frick organized the corporation of Frick & Company, coke dealers, with the help of Mr. Abraham 0. Tintsman, one of his grandfather's partners. This coke company bought 300 acres of soft coal lands and 51 coke ovens in the Connells­ville region, and a year later added I so ovens to its equipment. Then came the panic of '73. Everywhere men began to draw in the lines of their business, and especially to get out of their specu­lative enterprises. Mr. Frick's partners joined the rush to cover, and Frick & Company was one of the concerns from which they struggled to be free. This was young Frick's opportunity, and he demonstrated two of his vital characteristics: faith in the ultimate returns from the possession of any primary commodity of trade, and the courage to back his faith. The uses of coke at that time were few, but he saw a great future for it. Therefore, instead of abandoning his com­pany, young Frick wrote to Judge Thomas Mellon, a wealthy banker of Pittsburg, asking for a loan of $10,000. Judge Mellon commis­sioned Mr. J. B. Corey to go to the coke district and report on the security offered by this unknown would-be borrower. At his destination Mr. Corey asked for young Frick. He was directed to a little coke-burner's cabin nearby. The cabin he found contained two tiny rooms, one used as an office and the other as sleeping quarters; but both were fastidiously neat and arranged with systematic orderliness. Here he found a clean-shaven boy, who admitted that he was the author of the request for $10,000. The princi­pal collateral he had to offer was the future he believed to be in his business and his invin­cible faith in himself, in brief, his cool, quiet "nerve." Mr. Corey spent the day and that night with Frick. He found him alert, clear­headed, straightforward. He knew the busi­ness for which he needed money, and he convinced Mr. Corey of its future. He got the money. It was a good investment. Ever since that time Mr. Frick's influence has aided the Mellon’s, and today the Mellon’s National Bank of Pittsburg is one of the most powerful institutions in Pennsylvania. And the boy to whom Judge Mellon lent $10,000 on his word can borrow $10,000,000 to-day as easily on the same security. With this capital, Mr. Frick bought out his timid partners. Coke was down to ninety cents a ton. Other men in the coke busi­ness as gladly sold him their coal beds and ovens. The panic subsided. The price of coke rose to $4, even $5, a ton, and Mr. Frick's holdings made him almost a millionaire before he was thirty years old. In 1878 he sold an interest in the business to Mr. E. M. Ferguson, of New York, and later another interest to Mr. Ferguson's brother. The business grew in prosperity, without incident until 1882, when it was reorganized under the name of the H. C. Frick Coke Company, with a capitalization of $2,000,000. The new company now owned 3,000 acres of coal beds and 1,026 ovens. With the reorganization Mr. Frick entered upon the second era of his career, and encoun­tered a personality that has supplied the motive of much of his later life, first by encouragement, next by rivalry, and later by open hostility and warfare. The new era began with the selling of a half-interest in the H. C. Frick Coke Company to Carnegie Brothers of Pitts­burg. The personality that has influenced Mr. Frick's career is that of Mr. Andrew Carnegie. Until 1882 Mr. Frick had been a dealer in coke. Now, in exchange for an interest in his coke business, he was admitted to the firm of Carnegie Brothers, and began a new career as a manufacturer of steel. This action was a fair test of Mr. Frick's foresight in his coke enterprise. His holdings had made him indis­pensable to the Carnegies in their expanding steel business, where coke is necessary to reduce the iron ores. In 1883 the capital of the H. C. Frick Coke Company was increased to $3,000,000. By 1886 the Carnegies had acquired a majority interest in the company through the retirement of two of Mr. Frick's partners. In 1887, they ordered a settlement with striking coke burners that seemed to Mr. Frick to implicate him in a breach of faith with other coke companies that had combined to resist the strikers. Mr. Frick therefore resigned from the presidency of the H. C. Frick Coke Company, though he retained his interest both in that company and in Carnegie Brothers. An idea of the value of his holdings in the former company (nearly a half-interest) may be got from the fact that it now owned 35,000 acres of coal lands, 10,000 ovens, 35 miles of railroad, and 1,200 cars, and that it employed 11,000 men who produced 1,100 cars of coke a day. "The future of a man who has accomplished so much in a life not yet forty years in extent, could hardly be predicted. Indeed, it would seem almost impossible to estimate the probabilities. 'Bright, active, and brainy,' this young man has shown already the possession of the highest qualities of financial generalship and business management, and the fact that he is universally recognized as one of the most prominent men of Pittsburg is sufficient to give promise of an exceptionally brilliant and useful career." This judgment took more practical form in that same year, when Mr. Carnegie chose Mr. Frick for chairman of Carnegie Brothers & Company, Limited, the reorganization of Carnegie Brothers. There was an underlying purpose in this selection. The Carnegies were embroiled in labor disputes over a change they proposed to make in the system of paying wages. Hitherto the wages had been paid on a tonnage basis; that is, the men received so much per ton produced. The increase in production by means of improved machinery without a proportionate increase in the number of employees had caused the wages of some of the men to rise as high as $15 a day. Mr. Andrew Carnegie tried to change this state of affairs by substituting the sliding scale as a basis for wages. Under the sliding scale, wages would be proportioned to the prices received by the company for raw steel. Mr. Carnegie had put his proposition of a new wage scale to the test in 1889, and he had been practically routed by the Amalgamated Association of Iron and Steel Workers. He had to consent to a three-year agreement that was obnoxious to him. He determined, that be­fore, to be in better condition to fight in 1892, and he looked for the strongest man to lead the fight. That man was H. C. Frick. Mr. Frick at once began to strengthen his hands for the conflict. First, he would complete the Carnegie monopoly in the Pittsburg steel industry. This he achieved by the purchase of the Duquesne Steel Works, which he bought for the company with $1,000,000 in bonds. The bond issue was a clever device, for the works earned the value of the bonds during the first year, so that they cost the Carnegie Com­pany practically not one cent. The other task of Mr. Frick's defensive campaign was to unify the corporate control of the subsidiary corporations of the Carnegie steel interests. On July 1, 1892, he consol­idated all these scattered interests into one corporate body, under his control, as the Carnegie Steel Company, Limited. Mr. Frick was now ready to give battle. Mr. Carnegie entrusted the whole responsi­bility of the approaching strike to Mr. Frick, and went to Scotland, where he remained in unbroken seclusion during the dramatic epi­sodes that followed. Mr. Frick carried on the negotiations with the strikers, who conceded the principle of the sliding scale, but who refused to agree to other demands of the com­pany and who insisted on the recognition of the Amalgamated Association. On July r, 1892, a strike was declared at the Homestead works, and the strikers took possession and fortified the works. It is not necessary here to go into the details of the Homestead strike. They are ancient his­tory, and the justice of either side's demands is still in dispute. But so far as its events throw light on Mr. Frick's character, it is sufficient to assume that he believed the demands of the company to be fair, and to know that, whether he thought them fair or not, he fought out their consequences with silent persistence through riots, bloodshed, threats of assassin­ation, and a storm of public execration which he made no attempt to conciliate or appease. After the strike was declared, Mr. Frick demanded that the sheriff of Allegheny County protect the company's works at Homestead. Four thousand armed strikers deported the sheriff and his deputies and sent them home to Pittsburg. Mr. Frick replied with two barges loaded with 300 armed Pinkerton detectives. The strikers met them with rifle shots and dynamite, and after a day of battle in which ten men were killed and sixty wounded, captured the Pinkerton’s and disarmed them. A week later 8,000 State troops put an end to the private war. During these days of violence, Mr. Frick was besieged with every form of pressure to induce him to end the strike. Public opinion throughout the country raged against him. Political influences worked upon him, and the hostility of a Democratic Governor of Penn­sylvania hampered his fight. To all appeals he was obdurate. He had made up his mind that he would win this time, as he always had won before, and at any cost. His life was threatened. He walked or rode to his office daily, unattended and unafraid. On July 23d, a Russian anarchist from New York named Berkmann, who had no connection with the strikers, walked into Mr. Frick's private office, drew a revolver, and fired. The bullet lodged in Mr. Frick's neck. Mr. Frick rushed at him, and a second bullet stopped him. Struggling to his knees, Mr. Frick grappled with him. In the struggle, Berkmann stabbed him three times in the side and thigh. But Mr. Frick at length downed his larger assailant and held him until the police came. When the doctors probed his wounds, Mr. Frick directed them to the bullets. Then, lying on a sofa, he completed the business he had had in hand when the struggle began, before he allowed the doctors to carry him home. Thirteen days later he walked into his office unattended, and resumed the work of fighting the strike. His doctors ascribe his quick recovery to his tre­mendous force of will. The strikers were not yet beaten. Through the summer, and until November 21st, the battle raged. The leader was unmoved equally by the renewal of violence, the protests of the public, and the distress of the families of the strikers. He won, and apparently he has never begrudged the price of victory. The issues raised and the public passions aroused by his prolonged battle helped defeat Benja­min Harrison for President. This defeat brought him the bitter hatred of the Re­publican leaders. But throughout the storm Mr. Frick was the Silent Man, satisfied that he had done the thing he started out to do. His success had in it the seeds of discord between himself and Mr. Carnegie. 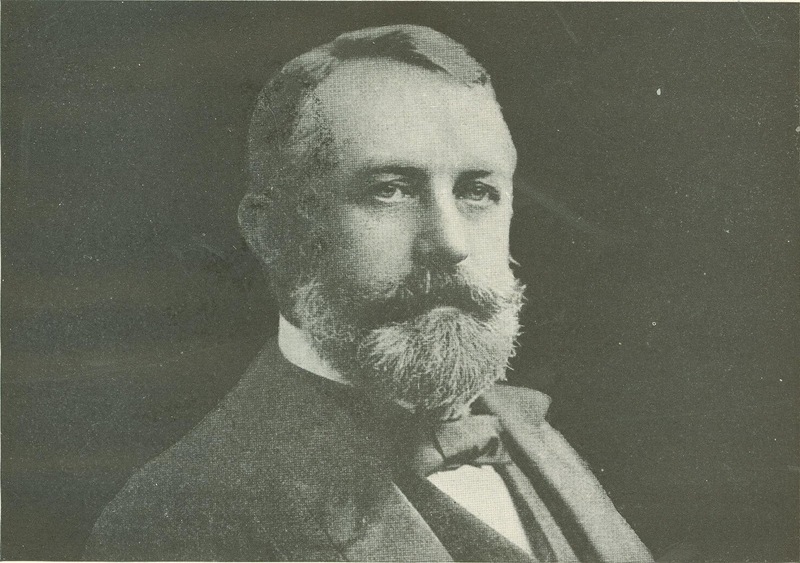 Much as Mr. Carnegie complimented him upon his great services to the company, he could not fail to realize that Mr. Frick had won a place of greater power in the Carnegie Com­pany than any other man besides Mr. Carnegie had ever had. The compliments took this form upon Mr. Carnegie's return to Pittsburg early in 1893, in a public statement issued by him: "And now a word about Mr. Frick. . . . Of his ability, fairness, and pluck no one has the slightest question. His four years' man­agement stamps him as one of the foremost managers of the world. I would not exchange him for any manager I know." Six years later, when Mr. Frick tried to buy out Mr. Carnegie's interests, Mr. Carnegie resented the menace to his supremacy and tried to oust Mr. Frick bodily from the business. But for the moment peace was upon the steel industry. Mr. Frick returned to the task of making the Carnegie Steel Company, Limited, preeminent in the world's steel markets. The first step toward that achieve­ment was to weld closer together the scattered plants of the company. This he did by building the Union Railway, which connects all the plants with one another and with the railroad lines entering Pittsburg. This road made it easy to handle and distribute the 16,000,000 tons of freight annually originated by the company. The saving in switching charges alone paid the interest on its cost. The next step was to assure to the company a dependable supply of cheap ore. This Mr. Frick did, after long negotiations and disputes with Mr. Carnegie, by taking over from the Oliver Mining Company five-sixths of its interests in the remarkable open-pit mines of the Mesabi fields on Lake Superior, and by a fifty-year lease from the Rockefellers of other Mesabi mines on a royalty basis with a guaranteed annual output. The whole deal guaranteed the steel company for fifty years a minimum annual supply of 1,200,000 tons of ore.
A large proportion of this supply was secured by Mr. Frick in such a manner that it cost the company nothing but the inconvenience of making a loan to the Oliver Mining Company. The Rockefellers accepted a very low price for their lease in exchange for the contract to carry a share of the ore through the lakes on a line of steamers that they owned. The last step was taken by Mr. Carnegie, who arranged to make over and extend the old Pittsburg, Shenango, and Lake Erie Railroad to connect the works at Pittsburg with Con­neaut, the harbor on Lake Erie. The Carnegie Company also put on a line of steamers to carry the excess ores over the Rockefellers' contract. Now the organization of the steel business was complete. The Carnegie Steel Company owned everything it needed to manufacture steel, from the un-mined ore to the cars in which it delivered its finished product, and it was independent of any outsider in the transportation of any of its materials from the day the ore was mined to the day its cars bearing its finished product were delivered over its own switches to the Pennsylvania Railroad or the Baltimore & Ohio. Mr. Frick now saw his future clear before him. Mr. Carnegie counted his active career closed: Mr. Frick was his logical successor. Having done much to build this great industrial structure, he would inherit the title of its king. He would organize a company to buy out Mr. Carnegie, and he would become in name as well as in fact the leader of the steel industry of the world. 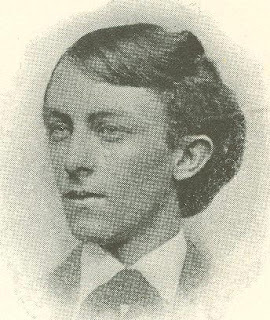 With him in the management of the company were a score of young men, afterward called "the young geniuses" by Mr. Carnegie, but none of them, Schwab, Gayley, Corey, or the others, measured up to Mr. Frick in wealth or power. With his gigantic ambition in mind, Mr. Frick associated with himself the second largest owner of steel stock, Mr. Henry Phipps. Then, with the cooperation of Judge W. H. Moore and others, he asked Mr. Carnegie for an option on his interests. Mr. Carnegie demanded $1,000,000 for a ninety days' option, and named $157,950,000 in cash and bonds as the price for his entire holdings. This price, with the additional cost of the stock of the other partners, brought the cost of Mr. Frick's scheme to about $250,000,000. Mr. Frick invited a party of New York bankers, including Mr. J. P. Morgan, to visit Pittsburg. After they had examined the steel works and had realized the tremendous volume of their business, Mr. Frick unfolded to them his scheme of reorganization. Never an effec­tive speaker, his presentation of the propo­sition, involving practically a cash payment of $250,000,000 for a business netting only about $25,000,000 a year, did not impress Mr. Morgan. Then the death of Governor Roswell P. Flower of New York caused a depression in Wall Street that dashed the last hopes of Mr. Frick's syndicate. And to make more bitter the blow to Mr. Frick's ambitions, Mr. Car­negie, at the end of the ninety days, refused to extend the option, and pocketed Mr. Frick's million dollars. This was the first time in Mr. Frick's career that he had failed to carry through a plan that his judgment approved, and the blow to his pride was staggering. He believed that Mr. Carnegie intended deliberately to humiliate him when he refused to renew the option, and he has ever since dogged Mr. Carnegie's trail with the same resolute persistency he has shown in business. Mr. Carnegie, in turn, resented Mr. Frick's desire to succeed to his preeminence in steel, and he was mortified that the failure of the Frick syndicate left him in the position of having been on the market with his holdings which, apparently could not be sold. He at once undertook to oust Mr. Frick entirely from the steel business. The method he intended to use was the same method by which he had maintained his control over the so-called "debtor partners," who were the "young geniuses" who had been admitted to the firm for distinguished services. When Mr. Carnegie wished to reward one of his managers he was in the habit of giving him a block of shares in the company under an agreement called the "ironclad." By this agreement the stock so given was carried on the books in the manager's name, but it could be forfeited to the company at Mr. Carnegie's discretion upon payment to the manager of the par value of the stock. By this arrange­ment, the manager received the revenues of his stock as long as he enjoyed Mr. Carnegie's favor, but he could be disciplined at any time by the threat of its forfeiture, as the market value of the stock was vastly greater than its par value, and the profits from its possession were proportionately great. After several quarrels with Mr. Frick, Mr. Carnegie demanded that he resign as chairman of the Board of Managers. Mr. Frick com­plied. Then Mr. Carnegie demanded that Mr. Frick surrender his stock under the ironclad agreement. This Mr. Frick vigorously de­clined to do, pointing out that he was not a debtor partner, as he had paid for his stock with stock in the H. C. Frick Coke Company, and that therefore the ironclad did not apply to him. Mr. Carnegie then ordered the Board of Managers to declare Mr. Frick's stock forfeited at its par value. Mr. Frick replied with a suit against Mr. Carnegie and the Board, asking for an injunction to prevent the prac­tical confiscation of his stock. The war was now on in the open, and the public learned of the bitterness within the company. Mr. Carnegie's answer to Mr. Frick's bill in equity contained recriminations and charges against Mr. Frick's personal temperament. The public eagerly expected new disclosures of the inside workings of the steel business. Then suddenly the lid was clamped down. Peace was better than publicity. The case was settled out of court. By mutual agree­ment a new company was formed to settle, by a redistribution of stock, the relative interests of all the partners. This corporation was named The Carnegie Company, and its stocks and bonds, consisting of $169,000,000 of each, were issued to Mr. Frick and the debtor part­ners, as well as to Mr. Carnegie, upon the basis of their proportionate interest in the old com­pany. This stroke made "the young geniuses" millionaires overnight. It made Mr. Frick one of the wealthiest men in the United States, for his share was worth at par, roughly, $15,484,000 in stocks and $15,800,000 in bonds. These events occurred in 1900. A few months later Mr. Frick's pride received another blow. The great scheme he had cherished of a reorganized steel industry was put through, but under Mr. Carnegie's direction and by one of Mr. Carnegie's adherents. Mr. Charles M. Schwab arranged another dinner with Mr. Morgan and other New York bankers, and his eloquence succeeded where Mr. Frick's had failed. He painted a more glowing picture than Mr. Frick's of the wonders of a con­solidated steel industry. His eloquence won the imagination of Mr. Morgan, and he under­took to finance the scheme. The result was the United States Steel Corporation, organized in 1901, with Charles M. Schwab as president, to take over all the holdings of The Carnegie Company and to include many independent steel concerns of the country. The great edifice of steel was finished, but it was what Mr. Carnegie had intended it to be, a monu­ment to himself. The one consolation to Mr. Frick was that his fortune was doubled by the deal. For his $31,000,000 of stocks and bonds in The Carnegie Company, he received, roughly, United States Steel stocks worth at par $45,500,000, and bonds worth $15,800,000, or about $61,300,000 in all. But Mr. Frick was not done with Mr. Carnegie. He would yet shatter the Carnegie dream of an enduring monument in steel. He established New York headquarters, which today are in the name of Mr. S. L. Schoon­maker, with whom he was once associated in the coke business in Pittsburg. In 1903, when the general decline in stocks carried down the value of the United States Steel Corporation's securities, Mr. Frick bought heavily into them. He emerged from what seemed to Wall Street to be a speculative campaign with enough United States Steel stocks in his control to make him a first-class power in its direction. His next move was to compass the downfall of Charles M. Schwab, who as president per­sonified the Carnegie preeminence. In this he succeeded, though he could not prevent the election of another Carnegie man, W. E. Corey, to the presidency. But he has succeeded in making Wall Street and steel men realize that, though Mr. Corey is in name the head of the corporation and directs its routine details, Mr. Frick is the genius whose will shapes the policies and commands the destinies of the steel industry of the country. And he has succeeded further in creating the belief that it will not be long before his power will be suffi­cient to bring him to the front publicly as the successor to the title of the Steel King. When he has finally wrested this title from Mr. Carnegie, one of Mr. Frick's deepest wounds will be healed. He will have wiped out what he believes to be the humiliation that Mr. Carnegie inflicted upon him. Mr. Frick has followed the Carnegie trail in another curious fashion. The first modern office building in Pittsburg was erected by Mr. Carnegie about 1900. He named it the Car­negie Building. It occupies an imposing site on Fifth Avenue, near the crest of the hill crowned by the Allegheny County Courthouse. The Frick Building, completed in 1904, towers above the Carnegie Building on the next lots .tip the hill, and shuts off the light from one side of the Carnegie Building. The Frick Build­ing is of noticeably finer finish; it has only Carrara marble and mahogany within. Its main entrance leads directly to a great stained glass window representing “Progress," by Mr. John La Farge, the modern master of the art. Then came the Frick Building Annex. It cuts off the light from another side of the Car­negie Building. And the lots across Fifth Avenue from the Carnegie Building, formerly the site of St. Patrick's Cathedral, are now owned by Mr. Frick. Mr. Carnegie desires to leave behind him in Pittsburg another great monument to his name. In Schenley Park he bought a large tract of land upon which he erected the Carnegie Library and the Carnegie Technical Schools. These magnificent buildings cost many mil­lions and are endowed with many more millions. Then he planned to build a great philanthropic institution across the street from the Carnegie Library. His agents under­took to buy the property. Mr. Frick had already bought it. Mr. Carnegie built a palatial residence on Fifth Avenue at Ninety-first Street in New York City. A little while ago, the legislature of New York authorized the trustees of the Lenox Library to sell the entire block on Fifth Avenue between Sixth-ninth and Seventieth Streets. 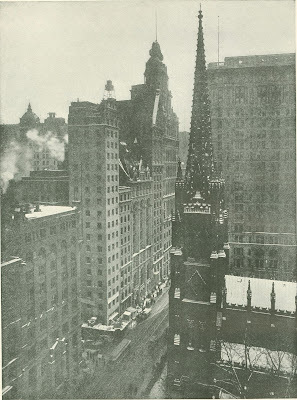 There has been no denial to the repeated publication of the statement that Mr. Frick will be the purchaser, and that he in­tends to tear down one of the most beautiful buildings in New York to make way for a residence that shall excel Mr. Carnegie's residence, a few blocks above, in beauty and in the noble spaciousness of the grounds that surround it. These things may all be coincidences, but the statements of warm friends of both Mr. Carnegie and Mr. Frick seem to discredit that assumption. They declare that Mr. Carnegie has mellowed with years, and that, having no longer an active business career, he would willingly be quits with Mr. Frick; but that Mr. Frick has neither forgotten nor forgiven the past. Meanwhile, Mr. Frick is in the prime of business life. Besides the interests that have been named above, he is a power in the Cam­bria Steel Company, the Norfolk and Western Railroad, and in the Baltimore and Ohio. His latest active speculations have been in Reading Railroad stocks. He has only begun his life as a financier, as distinguished from a manufacturer. Mr. Frick's first public appearance in New York was at the disclosures of corruption in the Equitable Life Assurance Society. With many other eminent men, he was on the board of directors by courtesy and to give the com­pany distinction. When the late James W. Alexander and the younger Mr. Hyde made counter charges of dishonesty against each other, Mr. Frick was appointed chairman of the committee to investigate the charges. The committee reported that the charges of each were true and recommended that both leave the company. The committee's report was killed in a directors' meeting, and the com­mittee resigned from the board. There has been no evidence produced to show that Mr. Frick had any profitable connection with the funds of the Equitable. But about this time the opportunity came for Mr. Frick to ally himself with Mr. Harri­man. This alliance began with Mr. Frick's en­trance into the directorate of the Union Pacific, and has continued until Mr. Frick is now a member of the Executive Committee. These friendly relations with Mr. Harriman persist, becoming daily more apparent in the relations of the Pennsylvania Railroad and the Balti­more & Ohio. Mr. Frick's connection with the Pennsyl­vania Railroad dates back to the days of his management of the Carnegie Steel Company. The Pennsylvania handled most of the enor­mous freight of the steel company, and it was inevitable that the manager of such vast freight interests should be compelled to have an interest in his principal means of trans­portation. Mr. Frick has increased that inter­est steadily until today he is credited with the ownership of about $8,500,000 of Pennsyl­vania Railroad stock. Mr. Frick's political activities are also inevit­able results of his business interests. As the head of the steel business, which, perhaps more than any other business, owed its enormous growth and profit to the protective tariff, it was in­evitable that he should support the Republican Party which maintained that tariff. He is credited in Pennsylvania with being consistently one of the largest subscribers to the National Republican campaign fund, His relations with the devious paths of the Pennsylvania state machine are impossible to trace. Only one story of consequence has been published, and that can only be repeated on the authority of the newspapers whose reports were not denied. Their story was that at the time that Senator Matthew S. Quay died, the Republican State Committee of Pennsylvania owed sums variously estimated to aggregate from $150,000 to more than a million dollars: that the Com­mittee offered the seat of the late United States Senator to the man who would pay that debt; that Mr. Carnegie declined to touch it; and that finally, at a meeting in Philadelphia of Mr. Frick, Mr. Cassatt, and representatives of the Standard Oil Company, the election of Senator Knox was decided upon, and the bill was paid. The only obvious substantiation of the story is the fact that Mr. Knox was at that time Mr. Frick's personal attorney. Upon Pittsburg today Mr. Frick seems to have impressed, regarding himself, his own seal of silence. So powerfully does his influence and that of Mr. Carnegie dominate the business life of the city that few men there will talk to you about him. Much of this reticence is due to sheer ignorance, for Mr. Frick has kept his own counsels most discreetly. But much of it, as one may see from the faces of those one questions about him, is due to an uneasy sense of insecurity in talking about a man whose power penetrates so nearly to every phase of life of the city. He is in most of the financial institutions of the city, he is the largest owner of the city's real estate - his holdings are worth many millions - he is powerful in steel, he is one of Pittsburg's two "great" men, and the more active of the two. In New York, which is even yet, after six years, hardly more to him than a branch office, his shadow falls heavily upon Wall Street. His tremendous power is known his intimate alliances with the other great power of Standard Oil and with the terrible energy of Harriman are recognized. But Mr. Frick has yet the aloofness of the great commander, of the man able to stand alone. And there is something of dread in the mental state of Wall Street regarding him, for no one knows the final reach of his ambition, nor the direction of its course. He is the Silent Man, a mystery. He is a tremendous power, for the moment in equilibrium, poising, they think, for a final great sweep of conquest. The World’s Work Magazine. May 1907.